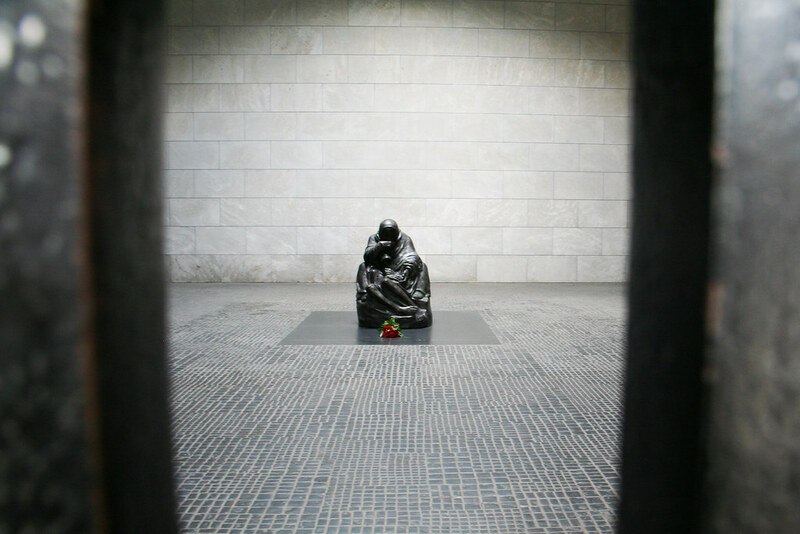 August 11, 2011 | After being completely destroyed during World War II, Neue Wache (the new Guard House) was rebuilt as a memorial to the victims of war and tyranny in 1960. Pictured below, the latest rededication includes Käthe Kollwitz’s scultpure “Mother with her Dead Son” in the middle of the building. As I stood there in silence peering through the bars, I felt moved. 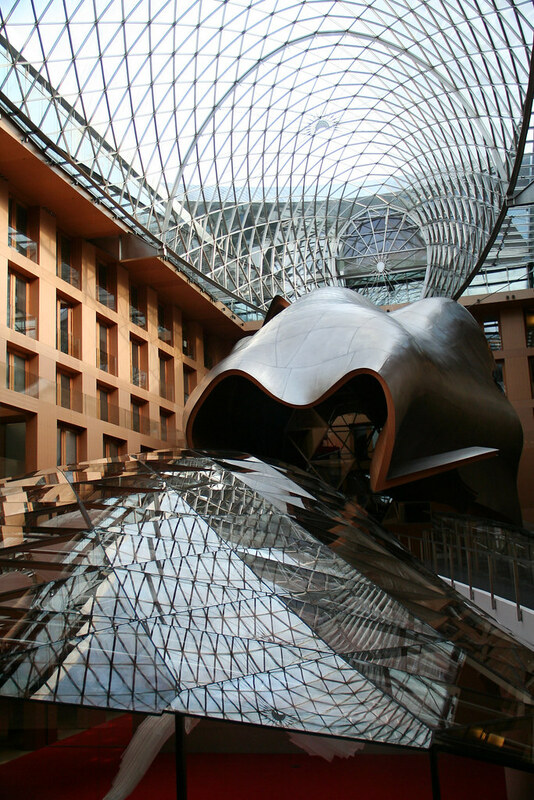 The bare, cold room housed just the sculpture in the middle of the room with a light shining through the oculus in the ceiling, highlighting the sculpture, as well as exposing it to the harsh Berlin climate. I could feel the loneliness and despair of a mother holding her dead son. It was a strange feeling. Just a few minutes before, we had been across the street taking a break from all the walking and enjoying coffee and pastries from Opernpalais! But I guess with a history as dark as Berlin’s, it’s only inevitable that we would come across a somber site that would remind of us the events that unfolded in the city less than half a century ago. August 11, 2011 | I’m WAY behind on updating and I’ve gone on many trips since my last post but I’ve also managed to drop my external hard drive that contains all my photos so I’m just going to skip ahead for now to my Europe trip! Cool, right?? From the outside, the building looks like any other office building, so it’s easy to miss if you’re not looking for it. We couldn’t go past the entrance/lobby area but it was a cool stop regardless, located conveniently just next to Brandenburger Tor. More posts on Berlin attractions to follow!